Spring is always an exciting time of year as the world becomes your oyster and you can travel anywhere across the globe again. You can hop on a bike and pedal through Holland’s beautiful blossoming tulip fields or lace up your boots and hike through the red rocks of southern Utah’s Bryce Canyon and Zion National Parks. If you’d rather experience some culture, spring is a great time to head south and discover the mysteries of the Incans and the Lost City of Machu Picchu. Whether you want to hike, bike, kayak, or just find some incredible food and change your scenery, spring is a great time to do it. Have you been dying to travel to Europe? Spring is the perfect time to explore Holland and Croatia. Croatia’s warm Dalmatian Coast lets you get back in the water and kayak off its scenic shores. After a day on the water an open air wine tasting at a Croatian vineyard is the perfect way to relax. 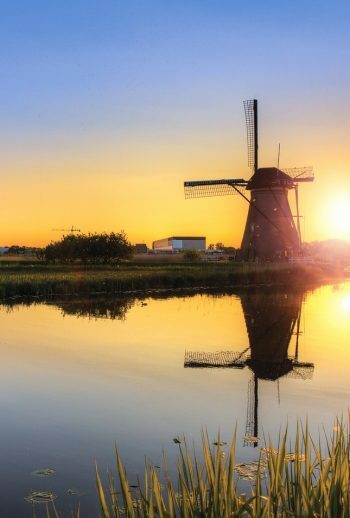 If you’d rather stay on the bike paths, Holland’s iconic windmills are nothing if not idyllic and make the perfect backdrop for a cycling adventure. Even if you’ve already seen spring flowers, it never gets old. Just ask our European Ops Director, Ron van Dijk. He’s been leading tulip-filled trips in his native Holland for more than 40 years! Not looking to cross any major ponds? As the snow is melting around the country and the sun is getting high in the sky, Southern Utah’s trails are at their best. Whether you’re hiking through the winding slot canyon of Zion’s Virgin River Narrows or rafting the mighty Colorado, a Utah adventure vacation is the perfect way to turn the corner into the sunny adventure season.